Our hips keep us upright, bear weight, walk, run, jump and kick. Because almost all movement depends on our hips, hip pain can be debilitating. Even if your hip joint is arthritic or degenerated, there’s a good chance chiropractic care can help. 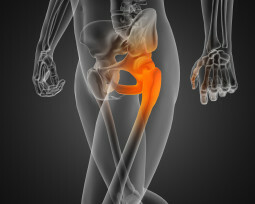 In many cases, inflammation in the hip joint is causing the hip pain. A weak low back and pelvis is the most common source of hip pain. Anti-inflammatory medication may help a little with the pain, but not the cause. Drugs ignore the fact that the back and hip are unstable. And exercise and stretching don’t take care of the inflammation. The precise location of your hip pain is important and offers clues about the underlying cause. Is it in the inside of your hip? Is it in your groin? Pain on the outside of your hip, your upper thigh or outer buttock is often caused by problems with muscles, ligaments, tendons and other soft tissues around your hip joint. Diseases and conditions in other areas of your body, such as lower back or your knees, can sometimes cause hip pain. This type of pain is called referred pain. Hip pain related to injuries can cause these problems. Pinched Nerves can also cause hip pain. These ailments can create pain that runs through the entire area. Hip pain treatment involves therapeutic modalities, along with manipulation of the low back and hip. This will be paired with strengthening exercises designed to help with hip pain. Dr. Aboudib may give you posture advice, stretching exercises. All these are designed to reduce inflammation and relieve spasms. Weakened muscles can be strengthened and joint mobility increased. Chiropractic adjustments help relieve sciatica, pain from sacroiliac joint dysfunction, osteoarthritis and other conditions that result in hip pain. Decompression is typically not used with hip pain.